That toile just keeps giving and giving. 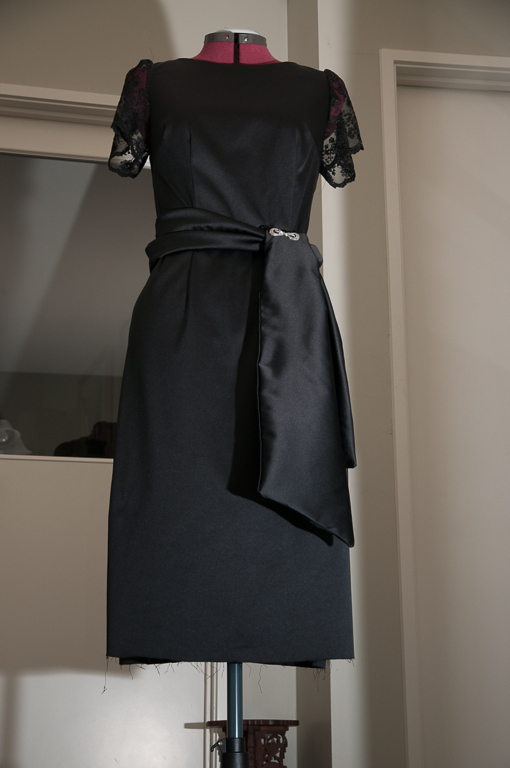 I decided to go to an Awards dinner so the LBD was the obvious choice and since I had my trusty fitting toile I used that as the basis. 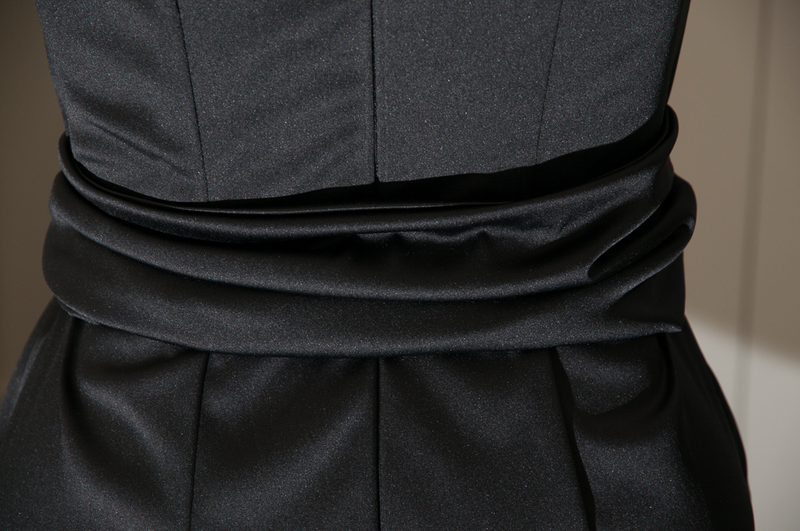 I chose black stretch satin and chose a high neckline. 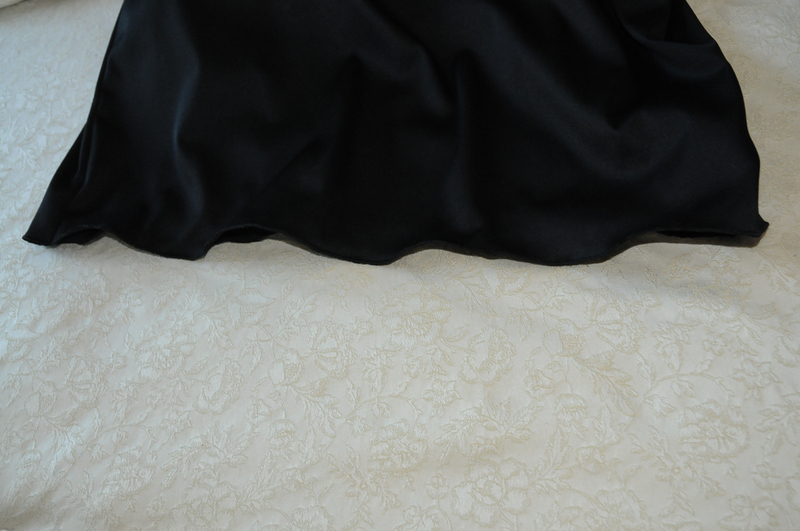 i also bought some wide lace and then cut out the sleeve pattern. Then to dress it up I made a sash. I was going to wear my mothers marcisite broach on the knot but in the end I bought some flowers. One for the bow and one for the top of the zipper where it gaped. Embellishments are marvelous for covering up slight imperfections in the sewing. And of course of got some lovely new shoes! A nice piece of lace and a sleeve pattern borrowed from a blouse pattern. Have a look at this invisible zip!! I looked up the internet and found a site that told me open up the zip and iron the zip to UNCURL it. This enabled me to get the stitching closer to the zip and I was thrilled. Invisitble! Initially I hemmed this traditionally with slip stitches and got that horrible dimpled looks so in the end I decided to "make the problem a feature" and I used the rolled hem on my overlocker which gave it a stylish wavy look. That is a beautiful dress and a perfect zipper. I love the lace sleeves.